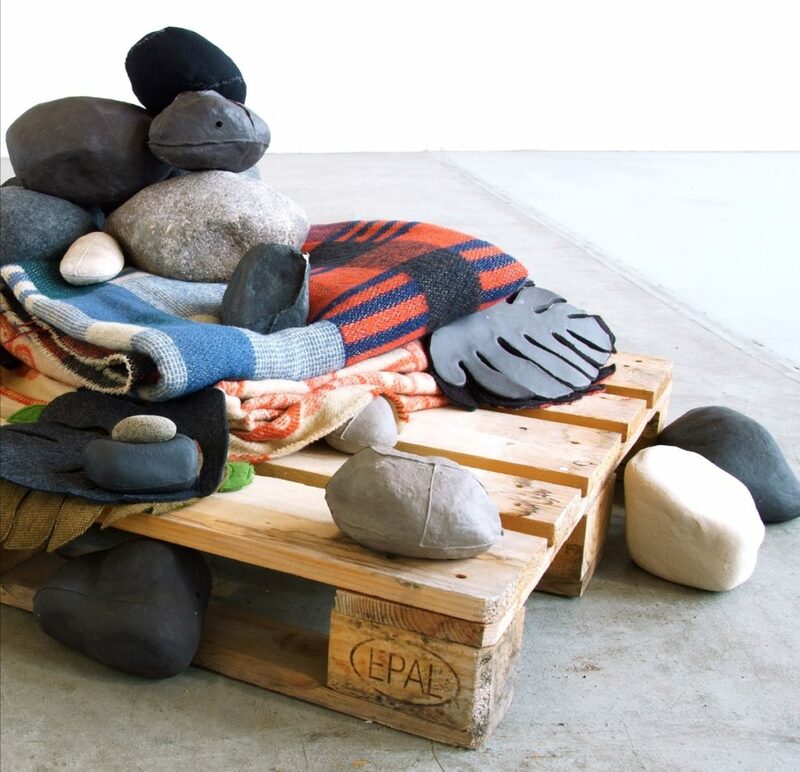 The works that can be seen in the exhibition ‘Living Landscape’ are based on the human relationships with the landscape that are becoming more and more stressed and were created during an artist in residence in Leipzig in 2019. During this working period of 3 months at the Pilotkueche, Marloes was particularly struck by how much was built in this former GDR city, for the city was almost empty until recently. Now that the city is booming again, building cannot take place quickly enough. But where do all these building materials actually come from, and what influence do we have outside the city? How do we ensure that others can also live in the landscape? Accompanying this exhibition, Marloes will give an extensive lecture at Concordia on 25 April. On April 28 there is a festive finissage at XPO, where part of the work may be taken home! The working period in Leipzig and the works that were created there, were made possible thanks to a grant for international exchange from the City of Enschede. Evangeline Clark – A Blue, A Purple, Aloë vera, Aster, Banaan, Cupcake, Engeland, Hibiscus, Pilli Pilli, Prinsessen Roze, Selectie and Ultiem.